Scleroderma NZ member, Pam Dempsey, has coeliacs. here’s how she copes. I was diagnosed with coeliac disease nearly 20 years ago and a few years later with scleroderma and then later became dairy intolerant. Way back then it was difficult to be on a gluten-free diet as there was very little help available and the Internet was not an option for help. These days it is so much easier as Coeliac NZ (Auckland) is an amazing organisation that provides an excellent service to those with coeliac. There is a wonderful website providing coeliacs with so much information in every way. There is plenty of information these days on the Internet. There are also support groups throughout New Zealand who have local co-ordinators (I am the Manawatu co-ordinator). Our role is to contact with newly diagnosed coeliacs and give them the support and help they require. We have frequent support-group meeting, a great way to chat, learn and share, especially with the newly diagnosed. If you are looking for some support or help, see website www.coeliac.co.nz or email admin@coeliac.co.nz and we’ll help! Coeliac NZ publish a very good magazine with recipes, hints and new foods. The range of gluten free food in supermarkets / organic stores these days is amazing. And when shopping the labelling / codes are clear and easy to understand if the product is gluten free. Reading labels is essential. If you are not sure of the gluten content of any food, use the general rule ‘if in doubt, leave it out’!!! It’s so much easier than years ago. It can be challenging at times if you’re invited to a friend’s home for a meal or eating out. However, you usually find that cafés and restaurants offering gluten-free food are safe places to eat at with no cross-contamination. There are lots of eating places now and your local area coordinator can help you find your local ones. Coeliac disease is a permanent intestinal intolerance to dietary gluten. In Coeliac disease the lining cells of the small bowel (intestine) are damaged and inflamed. This causes a flattening of the tiny, finger-like projections, called villi, which line the inside of the bowel. The function of the normal villi is to break down and absorb nutrients in food. When these villi become flat in coeliac disease, the surface area of the bowel is greatly decreased which interferes with the absorption of nutrients and minerals from food. This may lead to deficiencies in vitamins, iron, folic acid and calcium. Sugars (such as lactose), proteins and fats are sometimes poorly absorbed as well. Around 1 in every 100 people in NZ has coeliac disease. 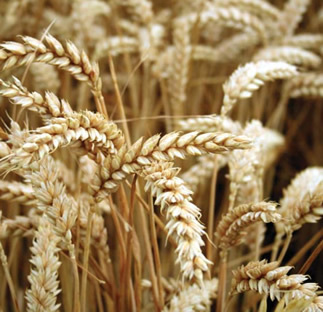 Coeliacs are sensitive to gluten, the protein portion of wheat, rye, barley and oats. This reacts with the small bowel lining damaging it and causing loss of the effective absorption surface area of the villi. Coeliac disease is treated by a life-long gluten-free diet. Coeliacs will remain healthy so long as they adhere to a gluten free diet.